Siliguri: The Joint Forum, an umbrella of tea trade unions, on Sunday threatened to launch a strike in the industry next month if the state fails to implement minimum wage rate for tea workers by June 25. Ahead of the rural polls, the union leaders had said that they would launch an all-out movement after the elections over the demand. On Sunday, the forum leaders said that their movement will be extensive this time ranging from demonstrations to blockades on rail track. Ziaur Alam, convener of the forum, said: "The state should meet the demand of the union by June 25 or else, thousands of tea workers will hit the streets and will launch an all-out movement." At present, a tea worker gets Rs 150 per day. In December last year, the state had recommended an interim hike of Rs 17.50 over the earlier rate of Rs 132.50 as no decision was reached over the revised wage rate even after several rounds of tripartite talks. The union leaders held a convention at Mitra Sammilani hall here on Sunday. "From June 8, we will start campaigning in the tea estates. Leaflets would be distributed in different languages to apprise workers and their families about the issue and to organise them for the movement," said a trade union leader. 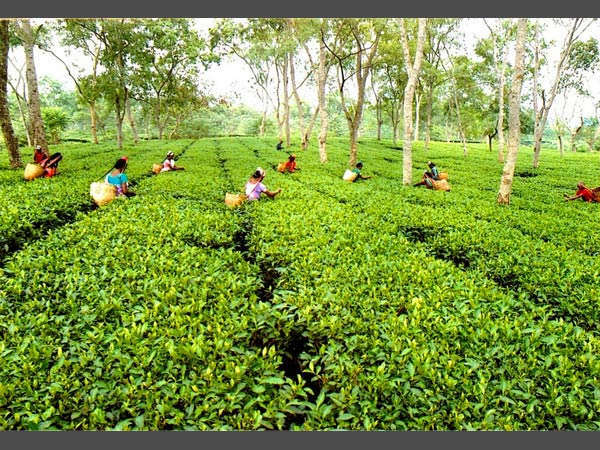 The Joint Forum, an umbrella of tea trade unions, on Sunday threatened to launch a strike in the industry next month if the state fails to implement minimum wage rate for tea workers by June 25.